through October 31, 2018 @ 11:59 p.m. (CDT). Plugin Bundle! The Plugin Suite - Get unlimited licenses of iThemes Security Pro, BackupBuddy, iThemes Sales Accelerator & all our other plugins for one low price. Best Value! The Toolkit - Get everything we make at iThemes for one low price. Our entire inventory of plugins, themes, WordPress training, 10+ Sync Pro sites and more! Want to Upgrade Your Current Plan? Want to upgrade your current plan & take advantage of this discount? Contact sales about your upgrade. 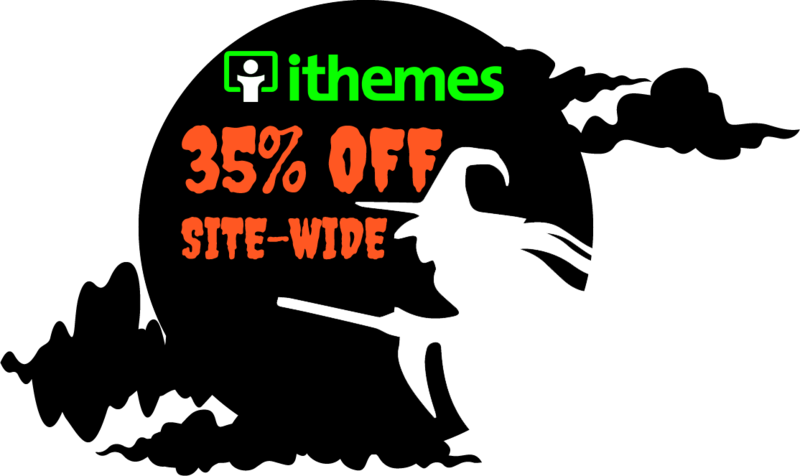 Coupon can be used on any *new* plugin, combo pack, hosting, theme, Stash or annual Sync plan purchase at iThemes.com. Coupon can't be used to renew or extend an existing membership. Coupon excludes BackupBuddy Gold support, iThemes Security Gold support, Sync Pro monthly plans or iThemes Training premium webinars. Offer good on purchases made Oct. 1 - 31, 2018. Coupon expires at 11:59 p.m. (CDT), October 31, 2018.